Centrally located steps from the beach, offering all day poolside dining. Chef Gareth and his Fiji culinary team pride themselves on sourcing the best and freshest local ingredients from our own organic farm and local fishermen. 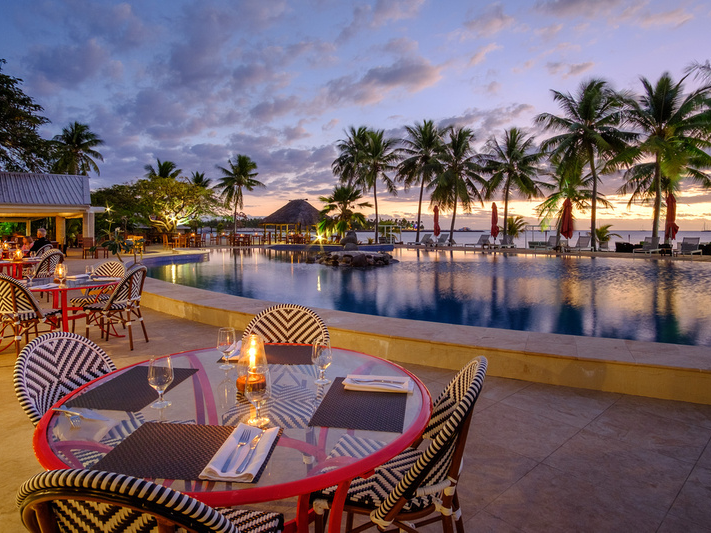 Offering a true taste of Fiji and its varied cuisine. Enjoy something light and fresh from our la carte menu. Or indulge in one of our theme night buffets throughout the week.